I love these cookies anytime but in the summer they are especially nice. Just cook on the stove and put them in the refrigerator. No heating up the kitchen hardly at all! 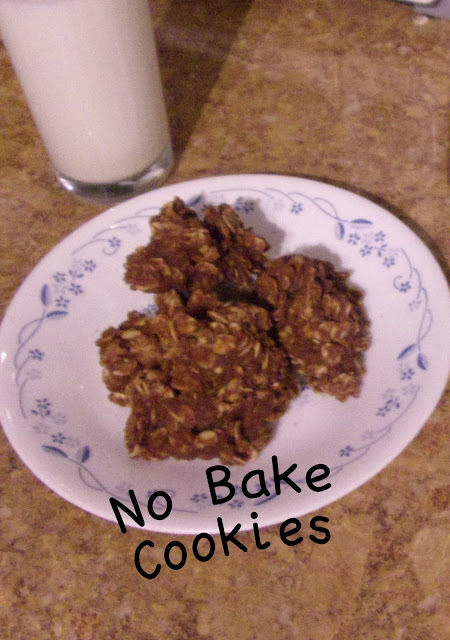 Another bonus is that you can also make them gluten free by using gluten free oatmeal. This is my recipe that I won a blue ribbon at the County Fair one year. I added more peanut butter than normal and it was a hit. I need to think outside the box more often! Bring the mixture to a boil for two minutes on medium heat. Mix well. Place by Tablespoons on cookie sheets and cool in the refrigerator.